I have to admit that I was very reluctant to order this book. My ballerina-loving daughter kept requesting it, but I kept telling her to wait. 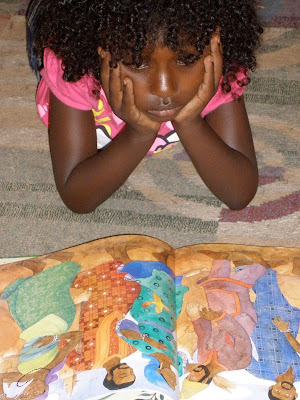 Although I love Barefoot Books for the diversity in their stories, there are one or two books that have disappointed me in that area and that I won't recommend to my customers for that reason; based on the cover of this book, I was afraid that it would be another disappointment. 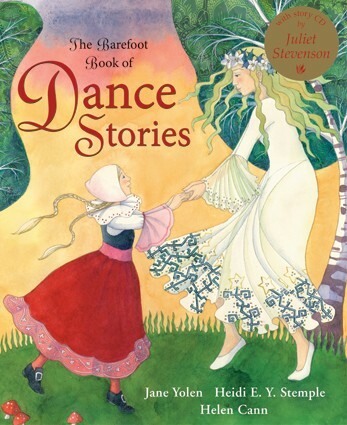 But The Barefoot Book of Dance Stories is part of the Summer Sale, and I had a voucher for some free books for winning a recruitment challenge in the spring, so I decided to finally say "yes" to this book when Elfe asked if we could include it in my most recent order. I am so excited to let you know that I was pleasantly surprised - I should have added The Barefoot Book of Dance Stories to our collection long ago! First of all, the book is simply stunning. Several of the stories include a full two-page illustration of the dance the story is about, and all of the artwork is amazing. 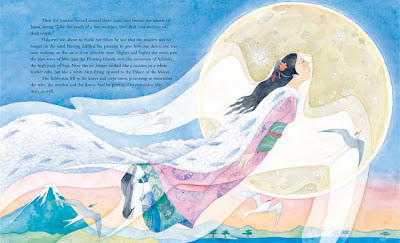 The Barefoot Book of Dance Stories comes with a CD narrated by Juliet Stevenson, and on the CD each story is introduced by a short piece of music that represents the story - Elfe jumps up to dance when she hears the music every time she listens to the CD! At the end of the book there is a page devoted to each of the types of dance described in the stories, with information about the dance itself, the history of the dance and how it is danced today, the costumes worn for the dance, instructions on how to do the dance. 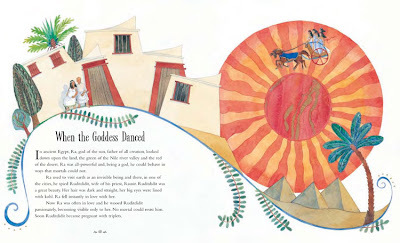 The Barefoot Book of Dance Stories would be a wonderful gift for any little dance lover in your life, and it's a book that can definitely be enjoyed for years to come. The Barefoot description says it is appropriate for ages eight and up, but my five-year-old was enthralled - and I am sure she will still be enchanted by this book when she is eight! This is a sturdy hardcover book that is usually $23.99 (and well worth that much, in my opinion), but until the end of the Summer Sale on Monday August 13th it's just $19.99.